The Golden State Warriors became the first team in NBA playoffs history to go unscathed in 12 games on the road to the Finals. No one deserves to be crowned for this feat more than Zaza Pachulia. This is not to belittle the brilliance of Stephen Curry, Kevin Durant, Klay Thompson, Draymond Green or the rest of the solid Warriors bench in sweeping all their Western Conference foes in the postseason so far. Golden State can make its claim as one of the most dominant teams ever seen in the playoffs, blowing out opponents by 16.3 points per game—the highest by a team entering the championship series. 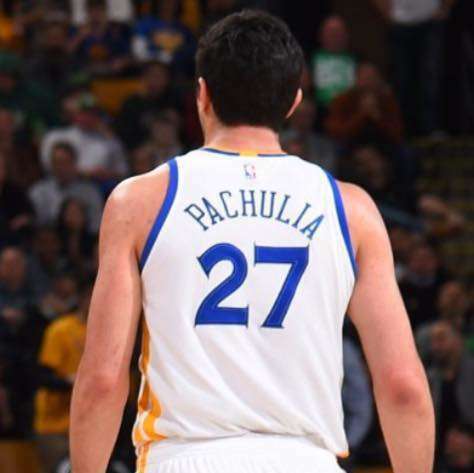 But why should Pachulia take top honors especially in the sweep of the San Antonio Spurs in the Western Conference Finals? C’mon, you should know that by now. The Spurs, already without Tony Parker, was perceived as the biggest obstacle standing in the way of the Warriors. And they showed just that, leading by 25 in Game 1 of the West finals opener, in Golden State no less. Then the play of the series happened. Look, nobody knows what would happen if Kawhi Leonard stayed healthy in the series. 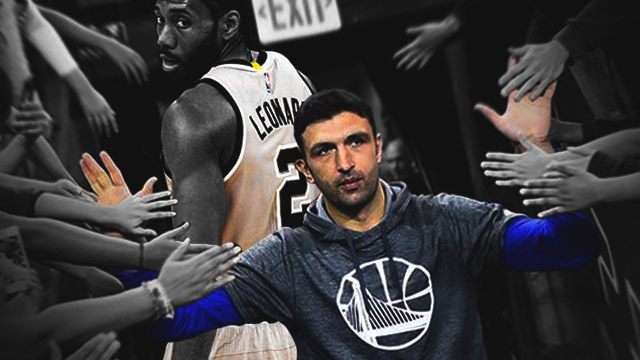 It also remains up for debate whether Pachulia intended to harm the Spurs' top star or not. What’s certain is that the threats on the Pachulia’s family are uncalled for. And that, at least in this so-called dirty player’s eyes, the 32-year-old Warriors center’s ‘closeout’ on that Leonard shot was nowhere near clean. Here’s a comparison of two closeouts, Pachulia’s on Leonard and Terry Rozier’s on Kyrie Irving and spot the difference. Of course, I have not purposefully tried to hurt any other players on the court, the same way Tim Duncan has not fouled anybody in his long NBA career. I also don't claim to know another person’s intention when it comes to a certain act, as I’m not a trained psychiatrist or behavioral science expert. All I know is that Pachulia’s foot was precisely on the landing spot of Leonard’s already injured ankle for a reason. Why? Because I’ve seen that play before, quite a number of times on the basketball court. And sometimes, it was my foot sliding under the shooter’s spot. So why do so-called dirty players do these unsportsmanlike deeds? Again, I speak from my experience, and there’s no simple answer. Maybe it’s driven by that competitive fire to win. It could also be part cultural, thanks to the beloved Pinoy trait of diskarte. There are two facts in the basketball world. One, nobody wants to lose. Two, there are players and teams far more skilled, athletic, and talented than others. Learning how to play the game early on, the lesser skilled ones like me are given two choices—hang their heads as the losses and frustrations pile up then quit the game, or find other ways to gain an edge. Fortunately for me, I found that edge in my second favorite Spur of all time, Bruce Bowen. Admit it, wherever you learned to play the game, there were always those players who were skilled in the dark side of the force, err, game, otherwise known in local basketball jargon as ‘gulang.’ There have always been the ‘magulang’ types since the beginning of basketball. To earn my place on the court and help my team get the win, I was inclined to master these tricks, to get in the head of my opponent’s top players, and to keep improving in my specialization. No one did it best, though, than Bowen. The arm tugs, the holds, the pinches, and the slide unders, Bowen was the master. But Bowen’s tricks were less obvious (except that flying kick on Wally Sczerbiak) and his slide under was done to get in the head, not take out the ankles of the shooter. Still, there were times Bowen did both, just ask Vince Carter. To be clear, this piece is not to glorify these deeds by Bowen or Pachulia or every other so-called dirty basketball player for that matter. 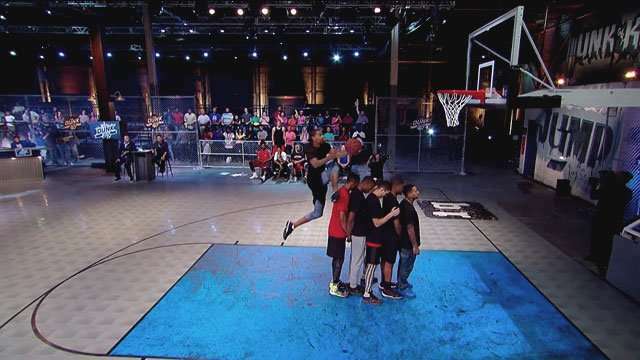 Those moves have no place in basketball, but remain part of the sport, whether you like it or not. You can blast Pachulia and side with San Antonio coach Gregg Popovich in this moot debate, as the Warriors are already moving on while the Spurs have bowed out. Or you can point to Bowen and say how hypocritical and dangerous Pop’s rant was. As for this practitioner of the dark arts, there’s one dead giveaway that shows Pachulia knew what he was doing. It wasn’t the overextended two-step closeout, but what happened after—when Pachulia casually turned to run to the opposite court and looked in shock when he was called for the foul, as if he did not just feel a 6-foot-7, 230-lb muscular guy land on his foot.